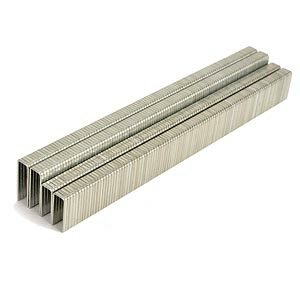 Paslode N-50 type staples 3/16" narrow crown, 20 gauge. Galvanized. 10,000 staples per box. Fasco brand, made in Europe. Fits Paslode 1000 N-50, Fasco F1A N50-19, F1B N50-19. Paslode N50 type staples 1/2-inch leg, Galv. 10,000/box. Made in Europe. Paslode N50 type staples 5/8-inch leg, Galv. 10,000/box. Made in Europe.